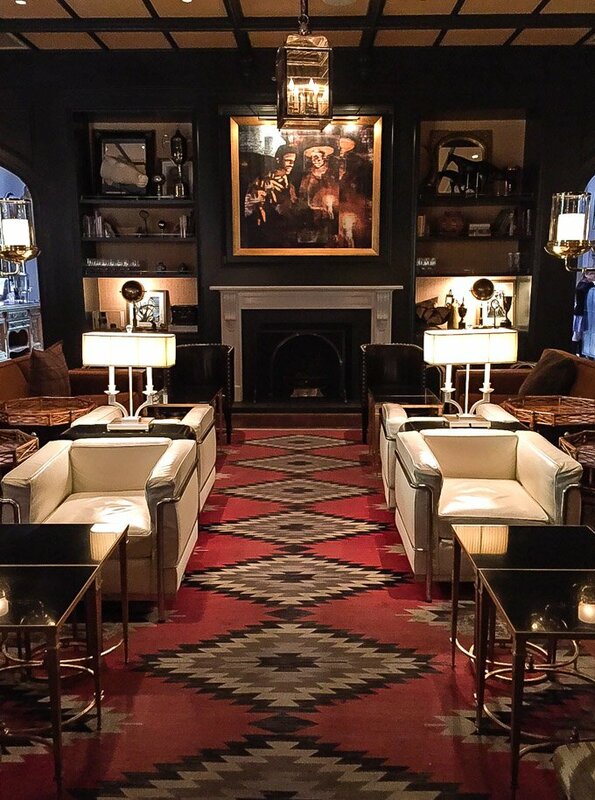 A couple weeks ago I shared my relaxing experience staying at the Hotel Jerome in Aspen, Colorado. 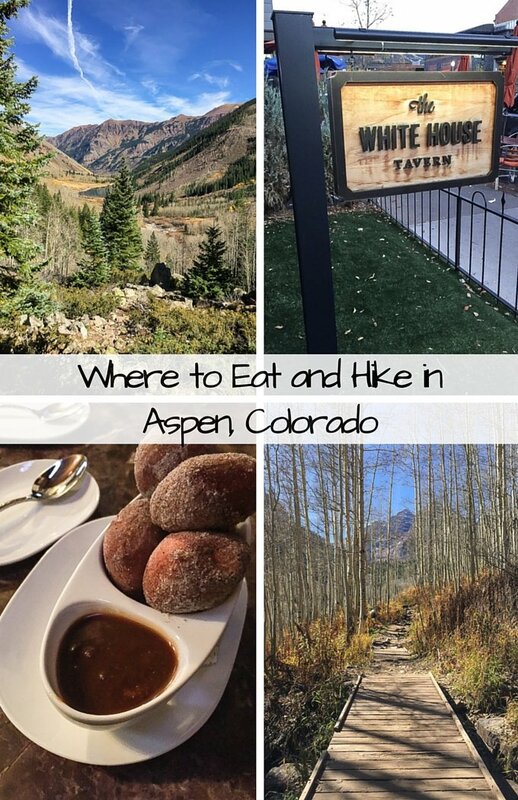 Today I’m talking all about the food we ate and a truly beautiful hike we went on that is a must when you are visiting. Let’s start with the food. 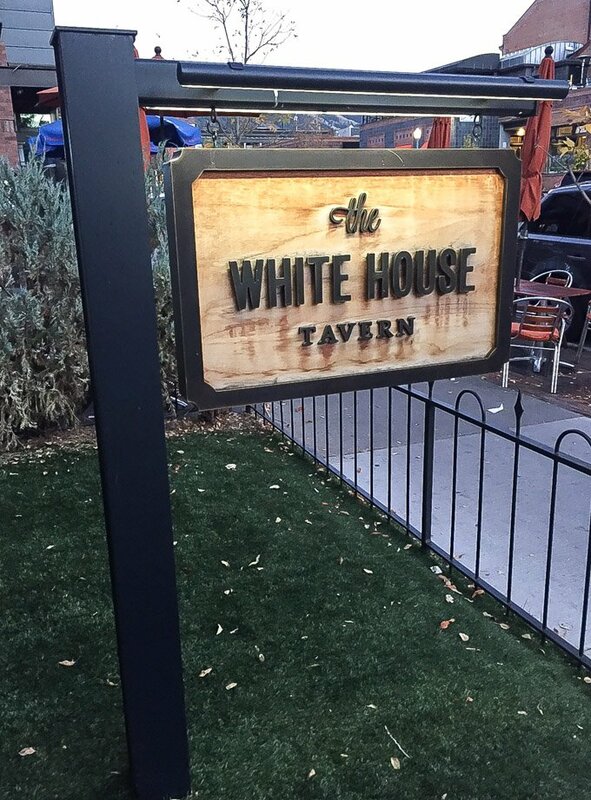 The first night we were in Aspen we went to a small cozy tavern called the White House Tavern. As it’s name suggests, the building is a tiny little white house that was built in 1883. It’s actually one of the oldest structures in Aspen. The menu here is small, but there is something for everyone on it. Everything from a burger, French dip sandwich and salads. 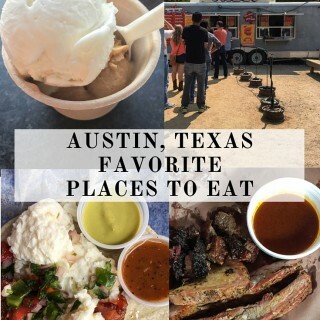 Then there are smaller bites including a house smoked salmon, deviled eggs, jumbo shrimp and dips. They also have a great selection of wine, beer and cocktails. The night we were there my husband got the crispy chicken sandwich which he proclaimed was the best chicken sandwich he had ever had. I stuck to one of their delicious salads that was piled high with grilled chicken, fresh corn, lots of veggies and crunchy tortilla strips. Following dinner we went back to Hotel Jerome and stopped in for a cocktail at The Living Room. Just as the name suggests, that is exactly the vibe you get when you walk in here. There is plenty of comfy seating, a large fireplace, dim lighting and even a small area where live music is played a couple nights a week. 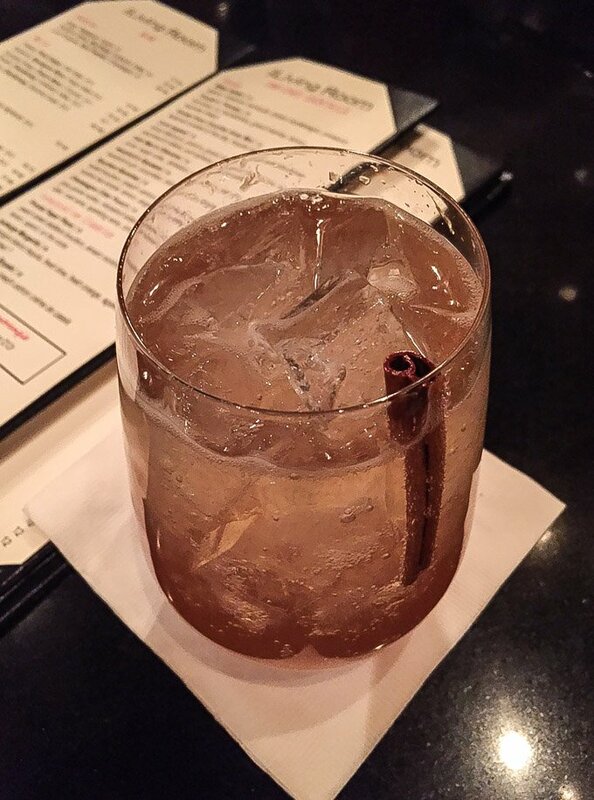 Since it’s fall, I couldn’t resist trying the Champagne Cider Punch. I’m so glad I did because it was everything I was hoping it would be. A little wine, a little vodka, a little cinnamon and of course cider, so delicious! My husband went with the Bourbon Banshee, which if you love bourbon this is the drink for you. The next morning I of course had to go find a coffee shop and get a cappuccino before our hike later that afternoon. 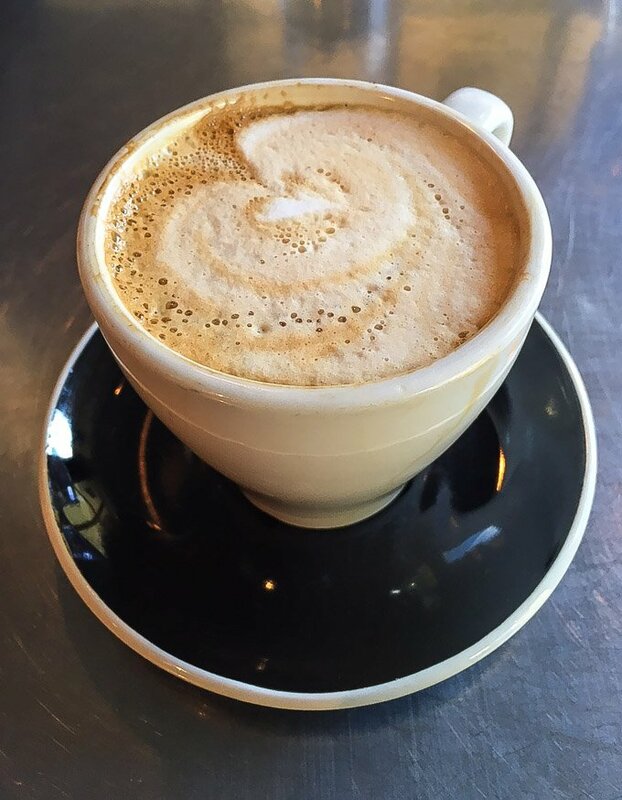 We asked one of the employees at Hotel Jerome where the best place to get coffee in Aspen was and he recommended Victoria’s Espresso. This cute little coffee shop/wine bar not only serves a delicious cappuccino, but breakfast sandwiches, omelets, frittatas, house made Greek yogurt and of course plenty of pastries. 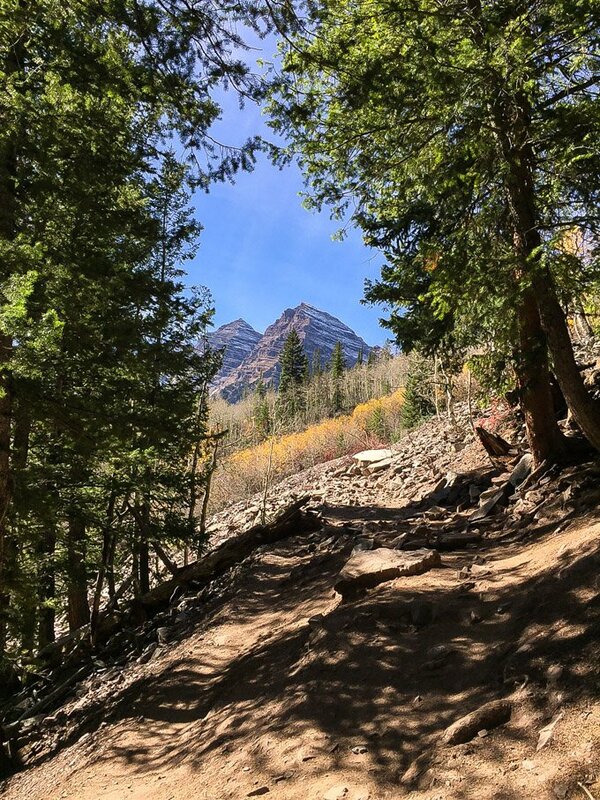 After coffee and my relaxing facial at the Hotel Jerome spa, we headed out for one of the most beautiful hikes we have been on in Colorado, the Maroon Bells. 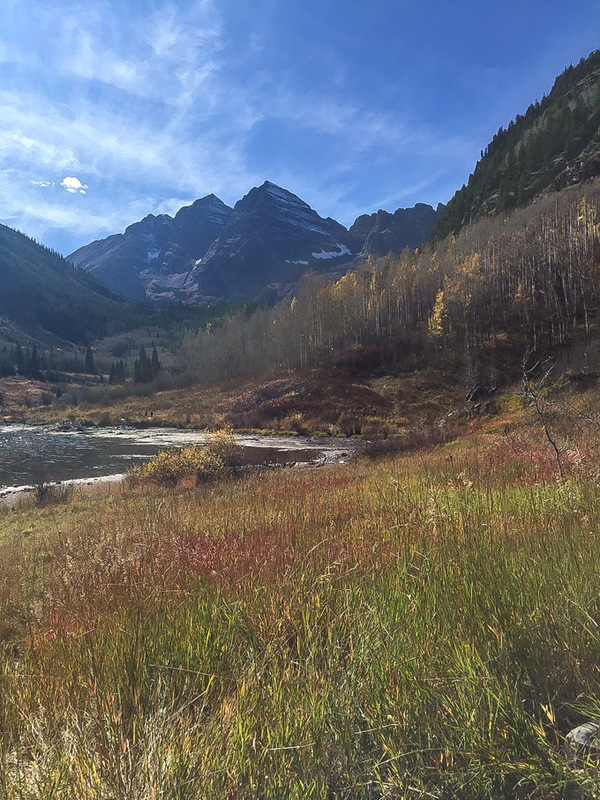 The Maroon Bells are located about 10 miles from Aspen and they are not to be missed. They are one of the most photographed mountains in North America and for good reason too. 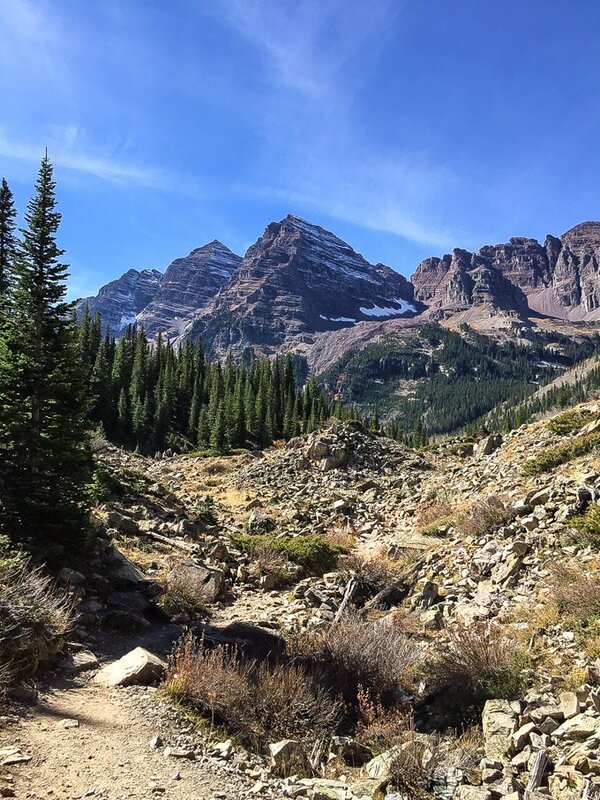 The two peaks are Maroon Peak and North Maroon Peak, both of which are fourteeners. During the summer months they can only be accessed by bus due to limited parking. During the winter months the road is closed to vehicles and the only way to get there is by cross country skiing or snowmobile, which if you ask me sounds like a heck of a good time! The Maroon Lake Scenic Trail which is the hike we went on is 1.5 miles each way with a fair amount of uphill on the way out. 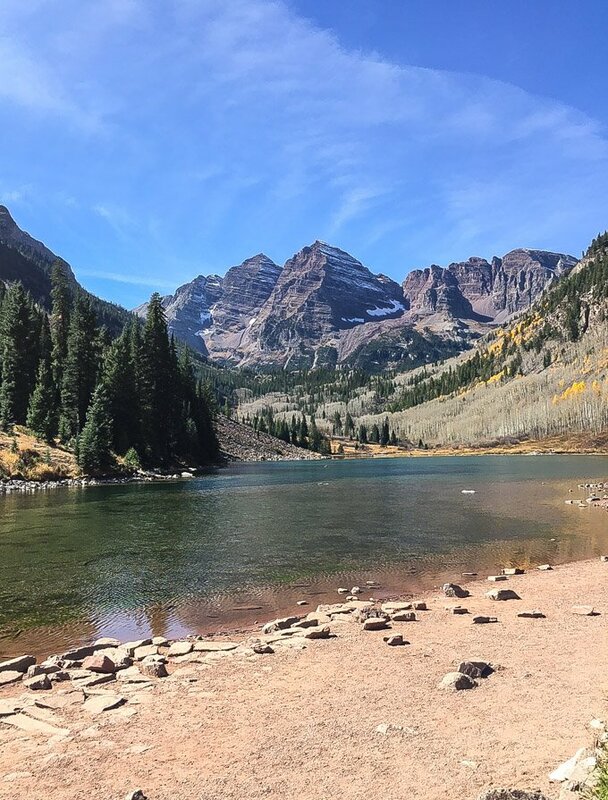 If you aren’t accustomed to high altitude or would rather just take in the views, you can spend your time at Maroon Lake taking in the views. The hike takes anywhere from 2-2.5 hours depending on how many stops you make to take pictures, trust me you’re going to want to take a lot of pictures. Following our hike we had worked up quite the appetite. It was later in the afternoon so we didn’t want to spoil our dinner with a big lunch. We decided to stop in for a light lunch at the Meat and Cheese Restaurant and Farm Shop. Since it was so beautiful out that day we were able to sit outside on the patio. We ordered a delicious meat and cheese board along with a glass of wine. 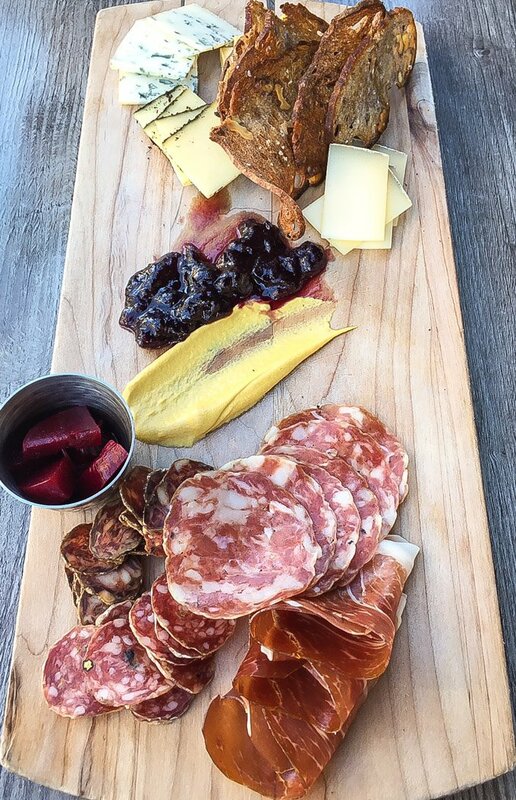 The board came with four different cured meats, four kinds of cheese, thin slices of toasted bread, a spicy horseradish mustard and a bourbon blueberry jam that was to die for! Our waiter told us all about the meats and cheeses and what they paired well with. Everything was so simple, but flavorful and the perfect amount of food for a light lunch. 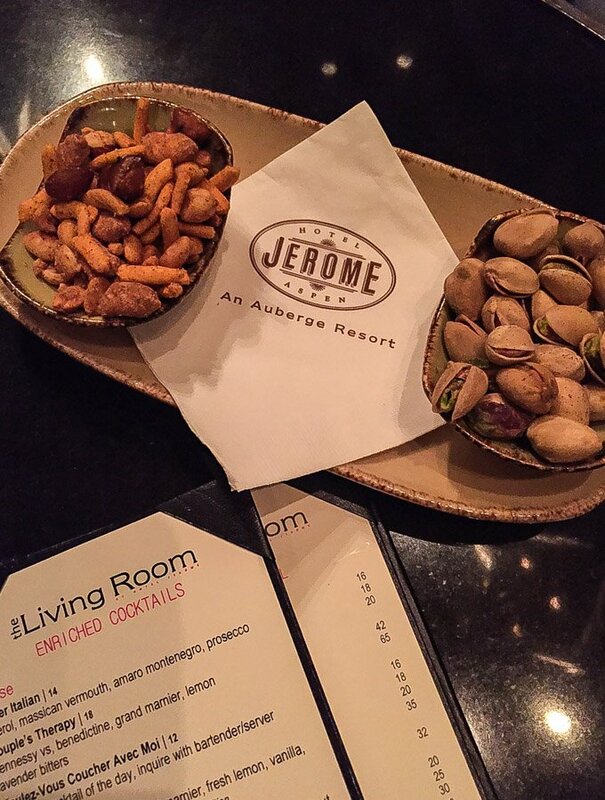 Our final meal in Aspen was at J-Bar located in Hotel Jerome. The bar’s decor is reminiscent of the old west and there is a casual and friendly vibe here. We decided to go all out since we had eaten light that day. We started with a delicious appetizer, crispy eggplant topped with spicy tuna and wasabi caviar. 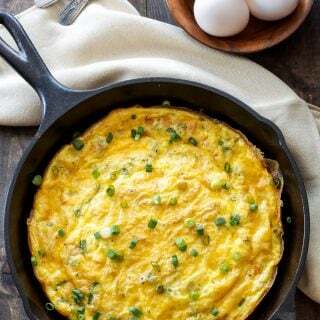 If you’re a fan of tuna, which my husband and I happen to be, you will love it. Next it was on to the maid course. J-Bar is known for their burger, so my husband being the burger connoisseur that he is knew that he had to order it. 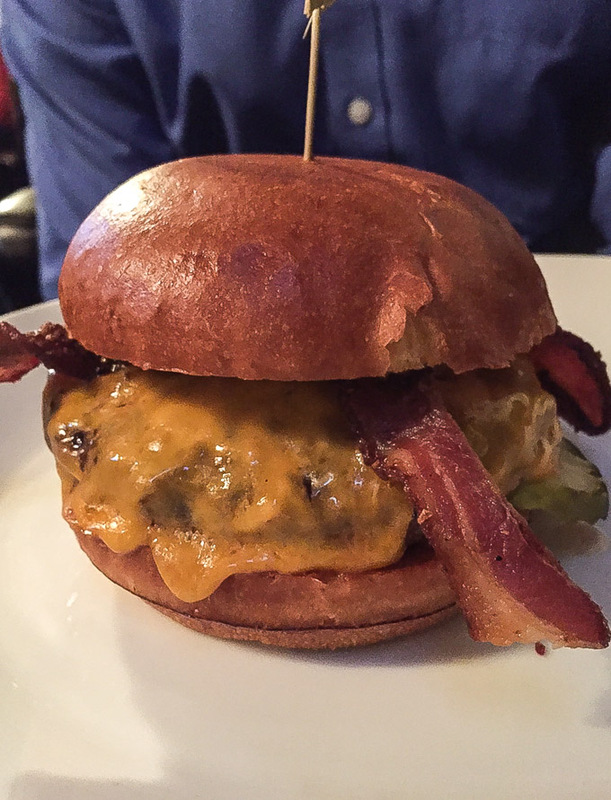 The burger lived up to the rave reviews and I loved that it was served on a brioche bun! 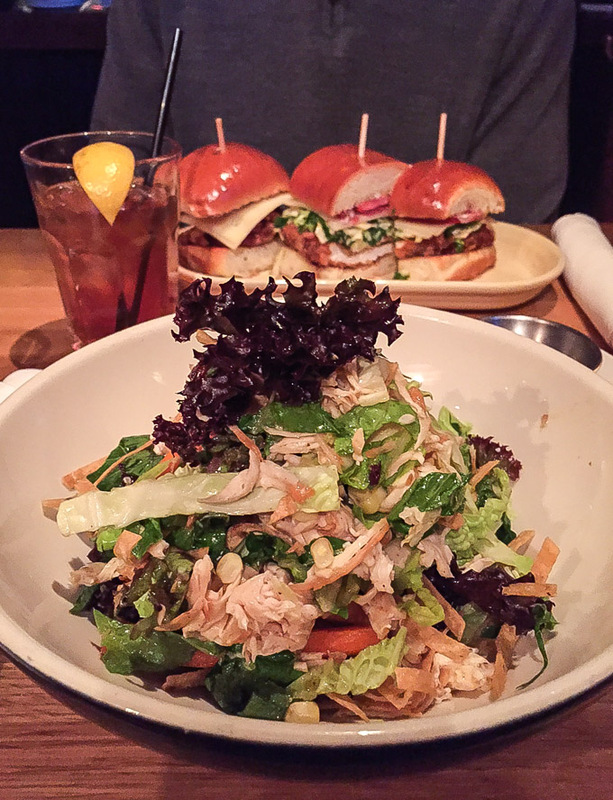 I went lighter with the Little Gem Salad that was topped with all sorts of fresh delicious vegetables and of course my addition of chicken. I chose a lighter main course because I was saving up for my favorite part, dessert! I apologize for the not so great photos, the lighting is very low in there which is perfect for dining and conversation, but not so much when you’re a food blogger. Dessert was everything I hoped it would be. We decided to start with the Aspen Crud because like the burger it’s a must try while you’re here. 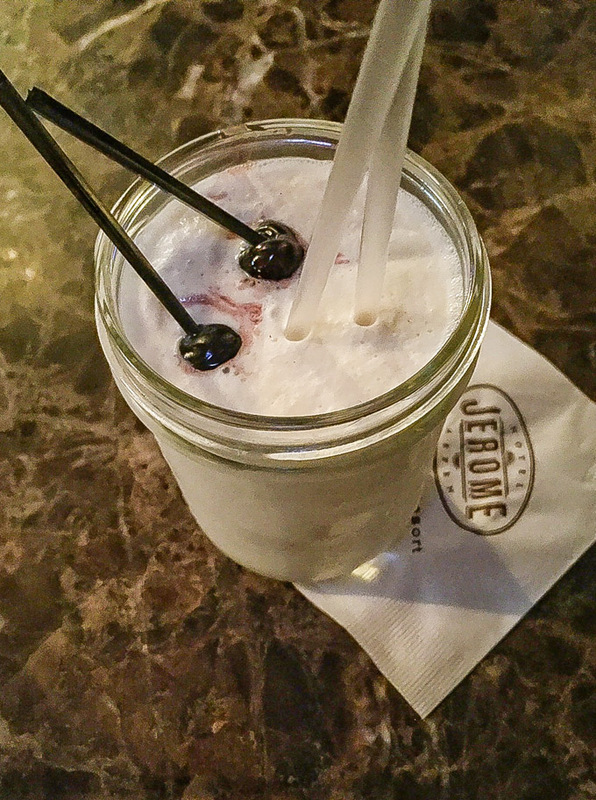 The Aspen Crud is a vanilla milkshake spiked with bourbon and dang is it delicious! We sucked that shake down in about 5 minutes and were practically fighting over who was getting to drink more of it. Don’t leave without getting one of those! 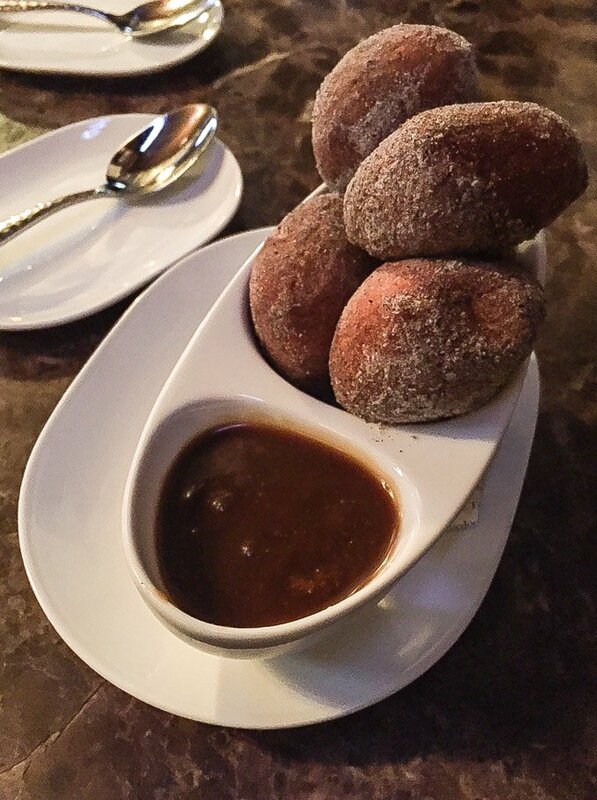 Last but definitely not least were the Spiced Beignets with Burnt Honey Coffee Sauce. They were perfectly fried pillows of dough rolled in cinnamon sugar. Dipped in that burnt honey sauce…there are no words to describe how amazing they tasted. I found myself eating the remains of the sauce with a spoon even though I was about to pop because I was so full. We left that night beyond full, but so so happy! These are just a few of the many restaurants that Aspen has to offer. There is everything from casual dining that we enjoyed to high end dining if you’re looking to splurge. 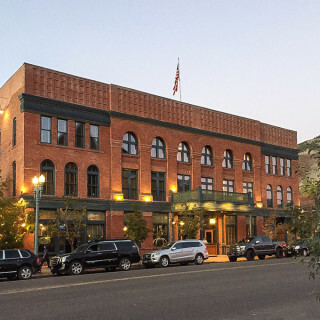 If you’re a foodie looking for something new and unique or someone who just enjoys good quality food, then Aspen is the place for you! Thanks Jenna! You have to make it out here and experience them, they are beautiful beyond words! thanks for posting these tips!!! I have Aspen on my bucket list. pinning this for future reference for sure! Glad to hear they were helpful Rachael! 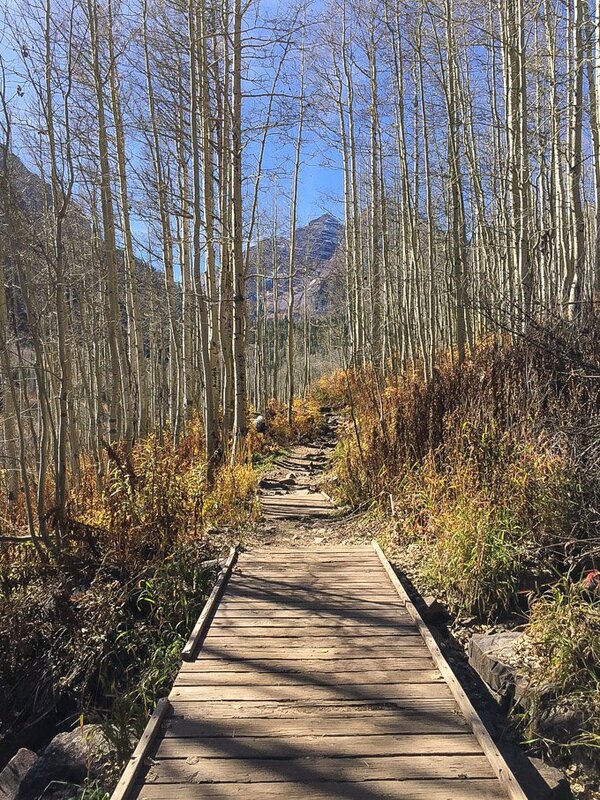 Aspen is a must visit destination! Thanks Serene! We had the best time, beautiful and relaxing! We were in Aspen a few years ago and did that same hike! What a wonderful place...I hope to go back again someday! Isn't it beautiful! I'm hoping to go back in the early summer and do it again when all the wildflowers are in bloom! Lovely! 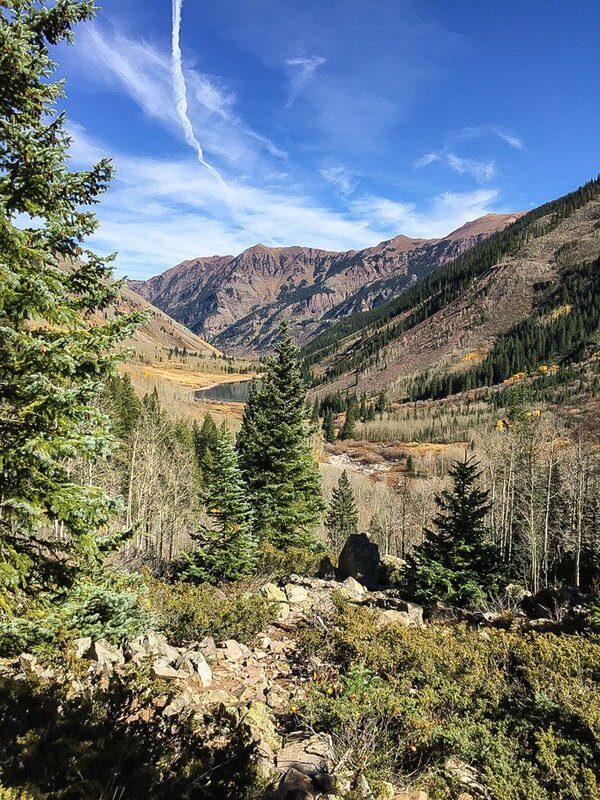 We are heading to Aspen next week and I will be sure to add all of these to our to-do list! Thanks for sharing! How fun Tabitha! Enjoy your trip, I wish I was going up there next week!